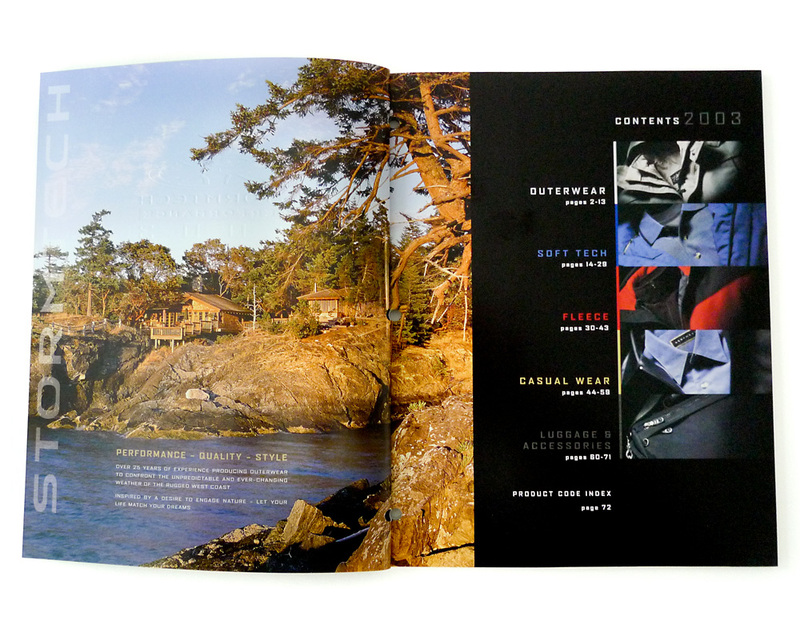 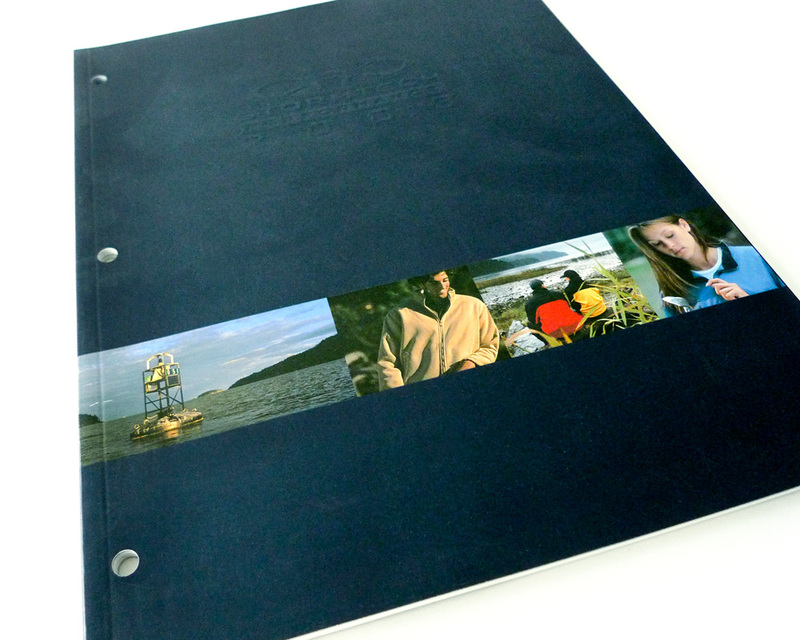 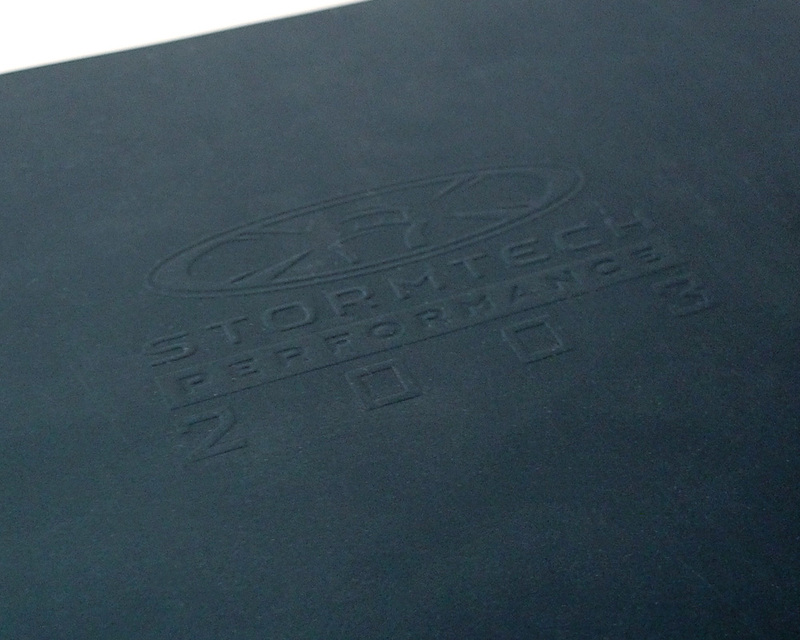 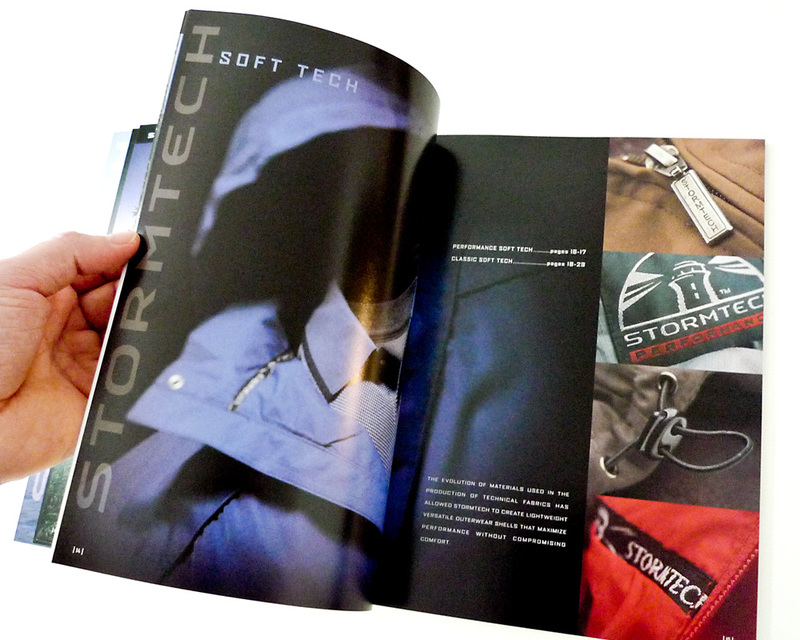 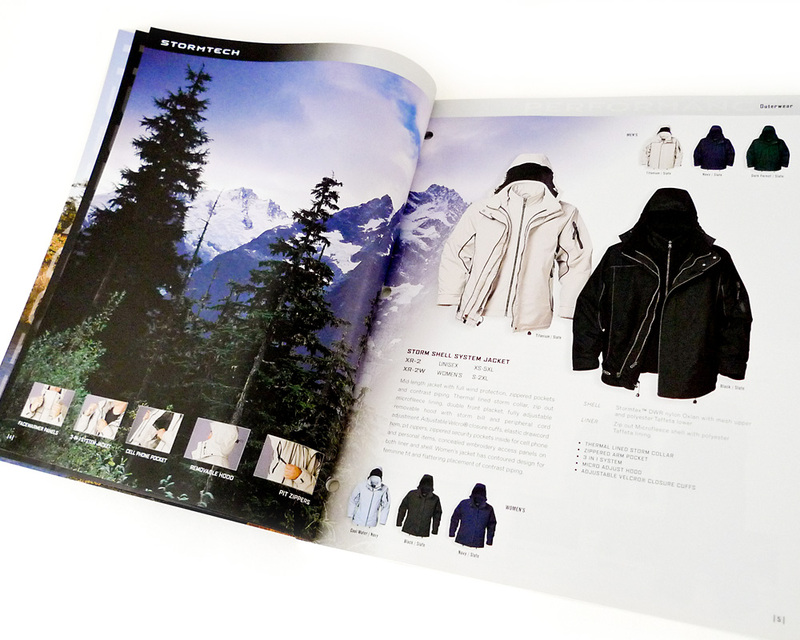 2003 catalogue for Stormtech is a, 88-page, perfect-bound document showcasing all of Stormtech’s technical performance outerwear, casual clothing, luggage and accessories. 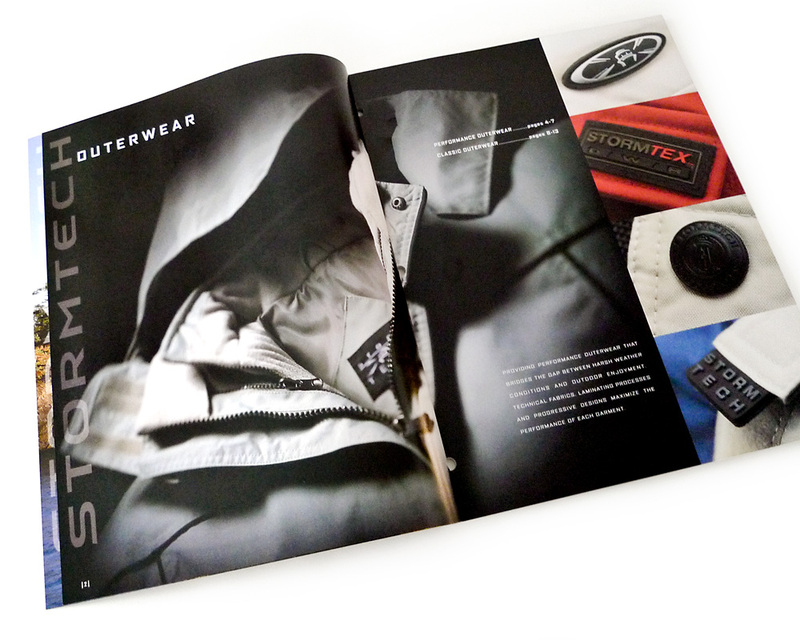 Shown are the cover, contents page, and some of the intro and products spreads. 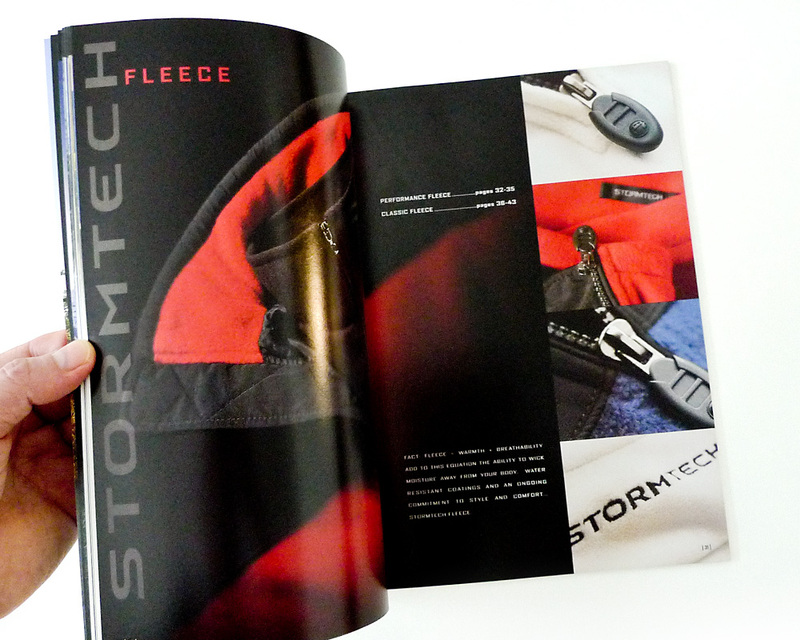 See also the 2002 Stormtech catalogue.